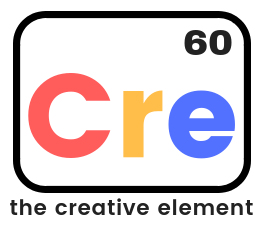 The Creative Element is the element we discovered and added to the periodic table. It can be found in the human mind, and is abundant in children. It has always been there, but to extract it and make use of it, all we need is 60 minutes, or an hour of creative activity every week. The Creative Element is a renewable resource that increases with use. Even small amounts of it can make us better at everything we do! “I consider myself fortunate because I could bring together two things that I love into the work that I do- Art and Children. I started off as an Art facilitator eight years back. The work taught me a lot about children and education and I enjoyed it immensely. During this time I experimented on how to maintain the natural flow of creativity in a growing child through Process art and simple thoughtful activities. I then did a course in Art Based Therapy and have been freelancing with children, teenagers and adults at various schools and NGOs. My sessions are focused on helping them find their creative side and also providing them an outlet to express themselves and deal with their emotions and struggles.